Zamboanga City is the 6th most populated city in the Philippines and 3rd largest by land area. It is an urbanized city in Mindanao. Zamboanga is also known as the Latin City of Asia, why? Because it is the only place in Asia where people speaks Spanish – called Chavacano (broken Spanish). So, why broken Spanish? Zamboangenos speak Chavacano, it is a dialect with a combination od Bisaya and Spanish and some Taglish (Tagalog/English) words. The Philippines is colonized by the Spaniards for more than 300 years and back then Filipinos/Indios are not taught of speaking Spanish because it was only spoken by the Spaniards, Priests, and Ilustrado (educated Filipinos). As a Filipino, whenever I hear the word Vinta, the first thing that comes to my mind is Zamboanga, Vinta is a small boat with colorful and bright sails, mostly used by the Moros and Muslim people living in Zamboanga Peninsula. This small vessel is their transportation for inter-island for goods and people as well. Not every Filipino would want to go to Zamboanga, the place has a stigma of war, bombing, and rebels. At 2013 that was the latest and most disastrous war in Zamboanga City but today, 2017 its very peaceful and safe now. It was my first time to visit Zamboanga City and this has been my anticipation of visiting this province. I stayed for 4 days here and able to try their famous food, visited the most touristy place. So what can you do in Zamboanga City for 4 days? Visit Zamboanga during Hermosa Festival every October to see these Vinta at the sea and watch their race at 6 in the morning. 4. 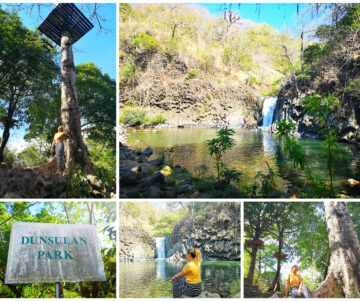 Visit Pasonanca Park – Boy Scout Ground – it is the highest ground in Zamboanga City. The temperature here is much colder than in the city proper. Jeepney fare – 10 pesos from City Inn Hotel. There are 24 small pillars on the ground – it symbolizes the 24 Boy Scouts of the Philippines who died in a plane crash going to Greece to attend the 11th Scout Jamboree but unfortunately, the plane crashed somewhere in the Arabian Sea. The best place to buy pasalubong and most of the products and goods here are from Malaysia and some local products from Zamboanga. Clothing, textile, bags, wallet, and chocolates are cheap to buy here. From City Inn Hotel, we just walk to the restaurant, about 7 minutes walk. Budget for two pax 500 PHP / 10 USD for 1 plate rice and 2 kinds of seafood. Alavar is the most famous seafood restaurant here in Zamboanga City. The restaurant offers freshly cooked kinds of seafood and their famous Alavar sauce which is made from crab eggs which by the way very high in cholesterol but so good! 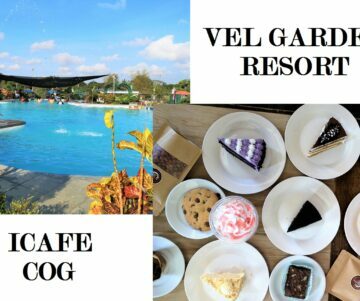 Budget for 5 pax 3,000 to 4,000 PHP / 60 to 80 USD. From City Inn Hotel, we head straight first to the market (walk about 10 minutes) where you will ride a UV/VAN. Fare is 25 PHP / .5 USD. Going back to the hotel, we opt to ride a regular jeepney because its more spacious and you can breathe fresh air, fare is 18 PHP going back to the market near Municipal Hall. Just in front of Yakan is Vista del Mar Beach Resort. 10. Try the famous SATTI of Dr. Egay in Buenavista Sto. Nino – across CT Boulevard Hotel. It is a spicy soup base with a choice of beef or chicken with sticky rice. This is usually served in the morning. WARNING! It’s really SPICY! You can choose from Philippine Airlines or Cebu Pacific, during seat sale promo you can get as low as 1k roundtrip per pax Manila-Zamboanga-Manila. However, if you book a ticket with no promo, the usual price is 4,000 PHP / 80 USD round trip per pax. From Zamboanga Airport to City Inn Hotel (where we stayed), we just took a tricycle and fare is 50 PHP, travel time is only 10-15minutes. So, book a flight now to Zamboanga and experience the best seafood in town and see these amazing Vinta and perhaps learn a little Chavacano as well. I never thought Zamboanga is very affordable destination. Thanks to your post, It change my mind. I’m now planning to trip Zamboanga! I would like to visit some places in Mindanao as well. On the other hand, my boyfriend thinks it is not a good idea because of safety issues. My family might not allow me to go there as long as there are still threats of terrorism. I believe that Mindanao is not as bad as what the media tells it to be. I have been to Zamboanga City way back in 1996. I bet there have been a lot of developments since I was last there. I do recall having a deja vu sensation when I visited Pasonanca Park for the first time. I felt I had been there before, but I haven’t — very strange. I’d love to see Pasonaca Park and it’s really scenic. I really would want to see Zamboanga. I’ve never heard of Zamboanga before! But then again, I do not know much about Philippines (other than Cebu and Boracay, probably) and I know there’s so much more to Philippines than just those two places! Philippines is definitely on my bucket list, will love to visit some day! Wow, I already have a future itinerary. Thanks for this!